This correspondence is to thank you again for the stellar job you did in representing us in the sale of our house. From the start you were hands on in helping us find contractors to prepare the house for sale and overseeing all of the repairs on a daily basis. This was especially important to Jim and me since we work and could not be involved personally in that process. You guided us through the staging and everything connected with making the house look the best possible. Your strategy of showing the house every Sunday and by appointment on virtually a moment’s notice paid off. We were impressed that things moved so quickly as we received 2 offers within 6 weeks! In all, you made what could have been an extremely stressful situation effortless because of your personal attention to all details and diligence in the negotiating process. Thank you again. We would not hesitate to recommend you as a representative on the sale or purchase side of any residential real estate transaction. I would highly recommend Jon Cates to be your real estate agent when selling your home. Before listing our Pacific Palisades Highlands home for sale, my husband and I interviewed several realtors. Jon was the only one who recommended a listing price that we thought was a fair price for our home. He advised us on the steps that needed to be taken to present our property in its best light. Jon has a great list of contractors, handymen, and gardeners that were invaluable in preparing our home for sale. Jon checked with us frequently to make sure the contractors were doing a good job, arranged professional photos for online marketing, and held open houses for us every week. Due to his hard work, we had an accepted offer at a fair price. In short, I cannot recommend Jon highly enough. He is honest, hardworking, easy to work with, and will do whatever he can to help you get the best price for your home. Jon Cates was our real estate agent when we bought our house last November. Jon was the consummate professional. Jon was and is very knowledgeable about the area. All through the process, Jon’s hands on approach made the road to our purchase as easy to navigate as possible. Our purchase went very smoothly with no problems. We credit this to Jon’s high level of organization. If you are looking for an agent, Jon Cates is your man! Should it be helpful for any of the folks you’re currently speaking with to hear my experience working with you, I’d be happy to let them know the pedigree. The highlands expert, honest, flexible, attentive & focused on gaining the best return for us….Jon sold our Pacific Palisades home in 2016. It was a great experience for us. He navigates the sale but does not apply unnecessary pressure on us. Jon specializes in the Palisades, he worked tirelessly at discovering buyers. Financially he figured a scenario where both parties were very happy. It’s an emotional process selling your home, at one point we had second thoughts, Jon rolled with us. Using Jon to sell our home is a decision I’m very happy I made. 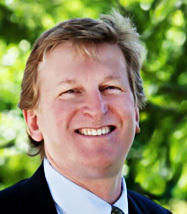 Jon Cates is a professional, capable Real Estate Agent working with Coldwell Banker, located in Pacific Palisades. He supported my brother Ed’s efforts and mine during the evaluation, sorting, and cleanup of our father’s home. This effort lasted approximately 1 year. Jon made contact with us about six months into the process. Arranged for retrofitting activities that included replacement of toilets, installed fire and carbon monoxide sensors, and installed anti-cracking film to all sliding doors. All-in-all, Jon was always helpful, always upbeat, knew his job and we believed he obtained the best price for our property. After contract signing, things moved along quickly. Sales activity and escrow was completed in a little over four weeks. A good job! Residential real estate is a local business, and no one knows the Highlands in Pacific Palisades better than Jon Cates. A very ethical and trustworthy professional, Jon Cates has exceeded our expectation in making the sale of our home a very smooth experience. Jon helped us through a sale of a house, finding the best rental ever and the purchase of a condominium. He has the best temperament and makes a stressful process less so. He aims to please and goes out of his way to make sure everything goes right. Jon helped my wife and I find a fantastic home on a great street that presented an incredible amount of value and potential appreciation. He knew our price range and worked tirelessly to find the best home for our budget. John worked closely with us throughout the process and became a dear friend to my family and I post purchase. John is unquestionably the Pacific Palisades Highland specialist. We interviewed several brokers when we moved to LA. We chose Jon because he was knowledgeable, experienced, and responsive. Throughout the process he never pushed us or gave us the hard sell. He made the stressful home buying experience more comfortable for us. Would recommend to anyone looking in the Palisades area. We will always be eternally grateful to Jon Cates for selling our Los Angeles home. We had an urgent financial need to sell our house as quickly as possible and it was imperative we sell it for market value or higher. It sold over asking price. There were a multitude of hurdles in selling it. Firstly, the state of the home, secondly, the accelerated time frame, and lastly we had tenants renting our home with no intention of leaving – and there was over one year remaining on their lease. Jon Cates listened and understood our needs. Jon managed these challenges seamlessly. He handled ALL of the logistics for the deal as we are retired and were unable to handle many of the logistics of the sale ourselves. Jon got the house prepared for the sale and put it on the market. Jon found a buyer who paid top of the market for our home and was willing to allow the tenants to remain in the home for the remainder of the lease – in an all cash deal that closed in only sixteen days! I have the greatest appreciation for Jon’s integrity, his business acumen and also his ability to problem solve. I cannot thank Jon Cates enough for the amazing deal he did and his kindness during the entire process.